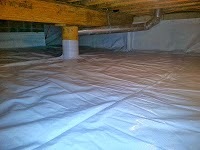 Indiana Crawlspace Waterproofing: Fiberglass Insulation In Your Crawl Space??? Fiberglass Insulation In Your Crawl Space??? I know great crawlspace insulator contractors in Durham that use spray foam. It is great for waterproofing. IG Marston Co. is a large manufacturer of non-metallic Plastic & Rubber stamped components including custom made washers, gaskets, seals, spacers, disks, Insulators & tags,Custom Gasket Manufacturer,Washer Manufacturer,Custom Spacers,Insulators. Is it possible to get crawl space waterproofing in chicago? Do they even do that there? After reading your article, I have decided to install fiberglass insulation in my crawlspace. I can understand why you wouldn't want it on the foundation walls, but that is not my intention. I want to place it under my sub-floor. I carefully considered your warning, but I think I have the moisture under control. Wow. Great post. Thank you for sharing this.